TH: What were you doing before real estate and why did you decide to be a Realtor? AH: I got my degree in Marketing from VCU and I did work in some marketing jobs for a while. I worked for Enterprise Rent-a-Car (which is an interesting story in and of itself...) and I also worked in Telecommunications – both sales and marketing jobs. After I had my oldest daughter, I was home with her a lot. I worked a couple of days a week at her father’s business, but was mostly at home. I decided that being a stay-at-home Mom wasn’t my strongest and best trait and as much I love my kids, I just needed to do something different. I distinctly remember pulling out the newspaper (Yes, this was way back when, haha!) and seeing an advertisement for a real estate class that would be held in the evening. I thought, this is going to be perfect! Her Dad will be home, I can get out of the house, go learn something, etc. I wasn’t even sure if I was ever going to do anything with it, but I just wanted the information and something to do. It turned out that in taking that class, the broker said “You know what, you would be really good at this!” – so I thought that I would give it a try! Low and behold…it worked out. TH: What hobbies do you have outside of real estate? AH: Real estate is a job, but it’s also a hobby because I really love doing it! I do have other hobbies though – my favorite being traveling. Traveling gives you something to anticipate, something to get excited about. It also shows you different cultures and perspectives. People around the world live differently and it’s interesting! Another facet of my world is giving back. I love being a part of the community when I can, and especially Midlothian High School these past few years! I am a volunteer for DECA and other clubs, I’ve been a speaker, worked with the marketing department in teaching classes about real estate, and this year I was even the speaker at Convocation! So, I’ve had a great time at Midlothian High School and it’s been an honor to be able to give my time to them and feel like I’m doing something that benefits my community. TH: How would you describe the last `16 years as a Realtor in the Richmond Market? AH: Well, 16 years has been a journey! What makes my journey a little bit different is that I have built a team. I went from being a one-armed paper hanger (taking the listings, marketing the listings, driving buyers around, dealing with paperwork, etc.) doing everything by myself, to now having everybody on my team with their own roles. We have a marketing coordinator, executive assistant, buyers agents, and site agents which has allowed me to focus on what I do best, being a listing agent! I can focus on working with my sellers, which is my forte, and overseeing my team. I went from selling 3-4 houses my first year, to building a team that can sell 150 houses a year. In regards to how the market has changed – the industry has changed! When I first started, they still made the MLS book! It looked like an old phone book that had all the listings for the area in it. I remember when they did away with the book and so many people were bothered by it. From advertising in home magazines (by the time it hit the stands, it was outdated!) to advertising on the internet – I’ve seen a ton of changes over time. For the most part, it has all been for the best! What are some of your favorite things to do in Richmond that you think are must-sees for new residents? AH: One thing I love about Richmond is that we have all of these great festivals! There is always an opportunity to attend one. Every year in Carytown, they have this huge Watermelon Festival and we have the Folk Festival down by the river where you can see a lot of live music. 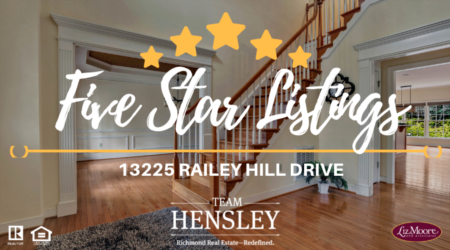 There are a lot of opportunities to really enjoy the Richmond area! Good surroundings, good music, good food. Richmond has come a long way and one of things that I think that has really put us on the map is our food! We have such a great reputation for being a “foodie” city. I love down to The Fan and trying all these new “mom and pop” restaurants. They each have a unique menu and atmosphere. TH: What would be the best advice you would give to a first time seller? AH: When I sell a home, there is something I always say to sellers and that is “your house needs to be priced right, and it needs to shine like a new penny”. That really sums it up. You need to get the price right and that’s difficult! There is not an exact science to pricing a home so you need experience to be able to analyze the data and to be able to share with your seller what that right price is. When it comes to getting your house ready for the market – we help with that. We help with staging, contractors, repairs, etc. It’s very important that when the seller’s house is released to the market place, everything is in order. The pictures will tell a story, the price will get people through the door. I also always say to my sellers, “if I can get 10-12 people through your home that are ready, willing, and able to buy, they will”. TH: What would be the best advice you would give to have your home ready for the market? AH: That’s different for everybody. I’ve walked through some homes where I think to myself “I don’t think a stager would have a job here”, meaning there is nothing that needs to be done! It’s clean, in order, and decluttered. The biggest thing I see that people need to do is to pare down. Pack up your belongings and make your home feel sparse. For a short period of time, you need to become a minimalist. That’s harder for some than for others. You want somebody to walk in and feel like there’s space and room to grow! If you feel like your home is naked, you know that you’ve done the right thing! 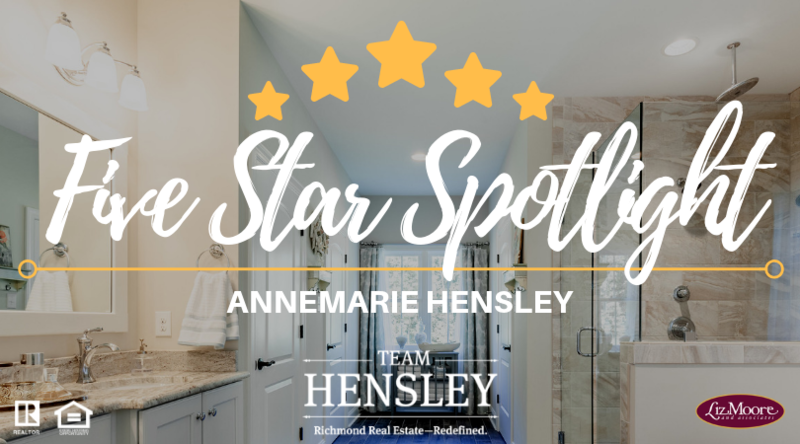 Want to learn more about Annemarie as a listing agent? 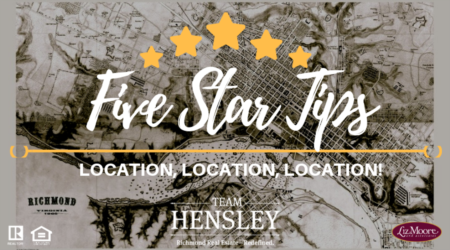 Visit us at sellers.teamhensley.com where you can even get a complimentary market analysis of your home!